Monday Matters with Jason McCrossan is broadcast on 106.9 SFM. On the show tonight: Jason speaks to former police officer Sophie A Matthews – who has written a book about her life in the Met. In our Night-Time Report – Chief executives of the UK’s top 100 FTSE companies earned 183 times the salaries of the average full-time worker last year, a new study has revealed. We have a report on this after 8. 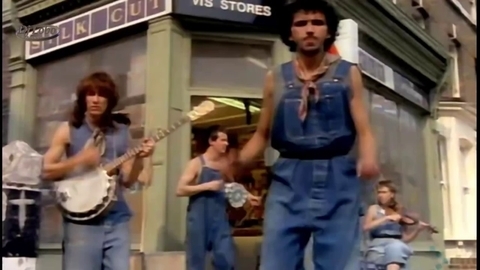 Our featured group tonight is Dexys Midnight Runners. who had several hits in the early 1980s, with songs such as “Geno” and “Come On Eileen”. Singer Kevin Rowland celebrates his birthday in this week. Kyra brings us the latest music news & in the final hour John Lennon the singer and songwriter who rose to worldwide fame as a co-founder of the band the Beatles – is our tribute as we play music and interviews from his life.